After escaping from Evernight Academy, the vampire boarding school where they met, Bianca and Lucas take refuge with Black Cross, a fanatical group of vampire hunters. Bianca must hide her supernatural heritage or risk certain death at their hands. But when Black Cross captures her friend—the vampire Balthazar—hiding is no longer an option. Soon, Bianca and Lucas are on the run again, pursued not only by Black Cross, but by the powerful leaders of Evernight. Yet no matter how far they travel, Bianca can’t escape her destiny. Bianca has always believed their love could survive anything . . . but can it survive what’s to come? 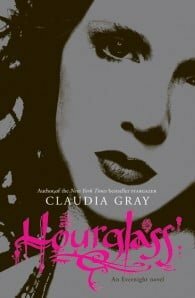 Claudia Gray is a pseudonym. I would like to say that I chose another name so that no one would ever learn the links between my shadowy, dramatic past and the explosive secrets revealed through my characters. This would be a lie. In truth, I took a pseudonym simply because I thought it would be fun to choose my own name. (And it is.) I write novels full-time, absolutely love it, and hope to be able to do this forever. My home is in New Orleans, is more than 100 years old, and is painted purple. In my free time I read, travel, hike, cook and listen to music.